The start of the new academic year is about a month away. 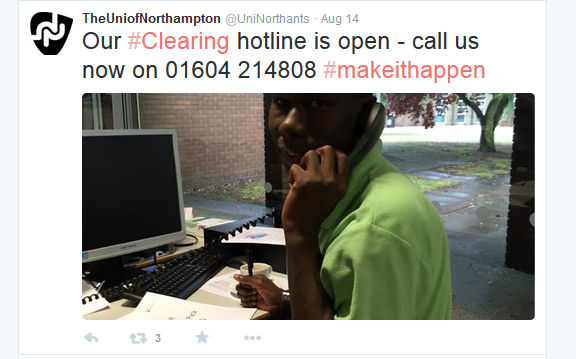 Like many other UK universities, at the end of last week, The University of Northampton was involved in clearing. For those who might be unfamiliar with the exercise, Clearing provides an opportunity for students (primarily those who have just received their A-level results), and have yet to finalise their choice of university, to do so. It can be a nerve racking experience for many to make a decision that will for the most part decide on your destiny. There were quite a few nervous calls coming through from those anxious to know what was happening. In the weeks ahead, will come the planning for things like accommodation, making new friends, and in some cases new cultures for those who will be moving from abroad. For more and more universities, internationalisation is becoming increasingly important. The concepts of internationalisation and transnational education (TNE) are issues that I have written about previously in an article for The Higher Education Academy. In a few weeks time it will be welcome week and then by the end of September/early October, the start of a new academic year. And so the cycle begins.